Exquisite Waterfront Estate, spectacular water views, & 389 ft of shoreline. Key features = 9066 sq. 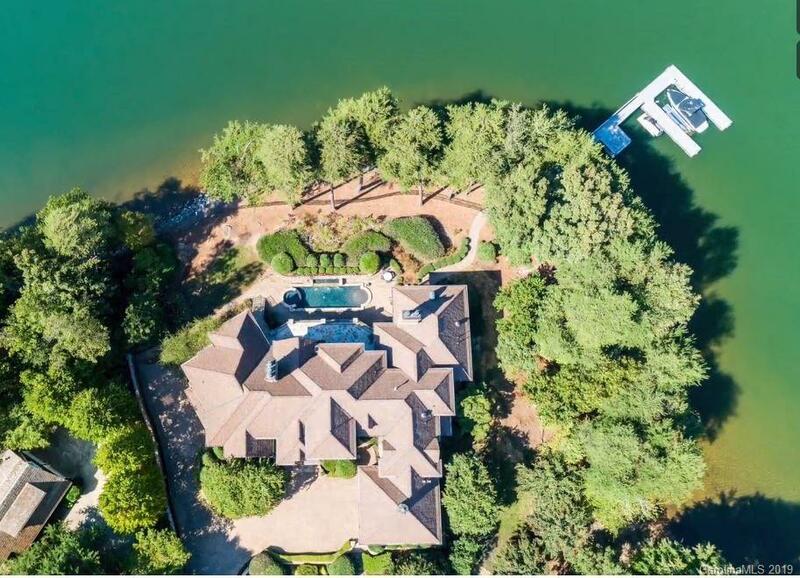 ft, 5 bedroom, 5 full bathrooms & 2 ½ bathrooms, 4 car garage, heated salt water pool, elevator, 680 bottle wine room, 3 laundry areas (one in master suite), 1.12 acres, media room, sauna, 2 offices, full 2nd full/kitchen at lake level. Each bedroom has its own bathroom, huge private pier with dock & so much more in this one of kind true estate. The floor plan is shown in the photos. PLEASE WATCH THE DRONE VIDEO TO SEE HOW AMAZING THIS HOME REALLY IS. Contact Sandy for questions & offers.